Part of me thinks that Family Guy should have already ended. I think seven seasons is about the right lifespan for a TV series. I talk to the fans and in a way I’m kind of secretly hoping for them to say we’re done with it. There are plenty of people who say the show is kind of over the hill … but still the vast majority go pale in the face when I mention the possibility. 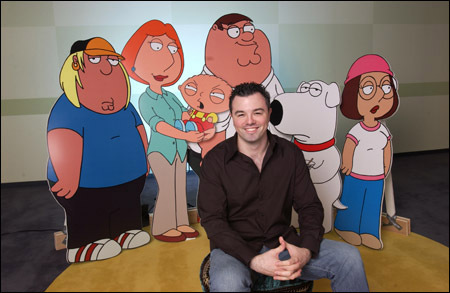 To this I say, "You shut your fat f-cking face Seth MacFarlane...or I will smack it."